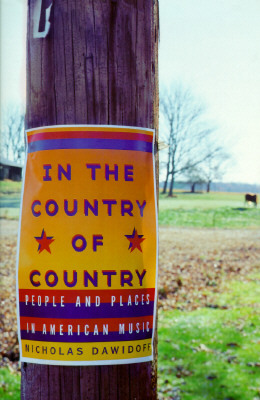 This particular page is an exploration of the performers, places, and experiences which form country music--a genre which is exciting, exhilarating, heart wrenching, joyful and uniquely and authentically American. 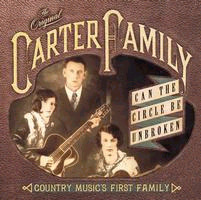 From The Carter Family all the way throught to Emmylou Harris, with side trips to goodness knows how many places, we'll cover as much ground as we possibly can.Canada is well represented here as well, with Blue Rodeo and Cowboy Junkies, just to name a couple. You'll note that there are crossovers between this page and the Blues Odyssey page, you'll soon see why...there were some of the early country musicians who recorded blues tunes, and infact it is said by some, that Jimmie Rodgers actually wrote blues...witness The Blue Yodel material. Websites overlap as well, in particular The American Roots site, after all both Country and Blues are part of the American Roots music scene...anyway, time to go, the train is waiting at the station, and the whistle is blowing...let us begone. Even before "hillbilly" music hit its prime, radio was becoming a new form of advertising. After the stock market crash on October 29, 1929, most people could not afford to buy luxuries like records; consequently, they listened to "free music" on the radio. In 1932-1933, record sales hit bottom while radio grew. 83% of U. S. households had a radio by 1938. Radio had become a popular avenue for music. Beginning its broadcast in 1920, KDKA in Pittsburgh was the first commercial broadcasting station in the United States. By 1921, there were eight stations in the United States. In March 1922, WSB, whose call letters stood for "Welcome South, Brother," broadcasted with 100 watts from Atlanta, the first radio station on air in the region. Three months later on June 13, 1922, WSB increased its power to 500 watts. John Carson performed on WSB, becoming the first "hillbilly" musician to perform on radio. By 1923, thirty stations were broadcasting in the United States. Meanwhile, in 1923, WBAP in Fort Worth, Texas, aired the first country music show in the West. In fact, on January 4, 1923, a fiddler played on the station backed by an orchestra; the fiddler was more popular with listeners than the orchestra. The listener opinion was similar in other parts of the country, and radio stations continued to pop up in the United States; by the end of 1923, there were 556 stations. There were many others: The Old Dominion Barn Dance on WRVA in Richmond, the Village Barn Dance in Greenwich Village in New York, the Tennessee Barn Dance on KNOX in Knoxville, the Bluff Creek Roundup on KOMA in Oklahoma City, the Ozark Jubilee on KWTO in Springfield, the Dinner Bell Roundup on KXLA in Pasadena, the WHN Barn Dance in New York City, the WSB Barn Dance in Atlanta, the Big D Jamboree in Dallas, the Hayloft Jamboree in Boston, the Sleepy Hollow Ranch in Philadelphia, and the Hollywood Barn Dance in southern California. Again, these barn dances were immensely popular, so much so that some were nationally broadcast starting with the National Barn Dance, which was broadcast on NBC radio network on Saturday nights; WSM began broadcasting with 50,000 watts in 1932 and was broadcast nationwide on NBC beginning in 1943. In addition, the barn dances were made into movies; in 1940, Republic produced the movie Grand Ole Opry. In 1944, Paramount followed suit with National Barn Dance, which was not as successful as the former. Consequently, cast members were radio idols; sponsors who promoted barn dances were "made." In short, Millard stated it best when he noted that "Radio was the main avenue to fame for the majority of hillbilly entertainers" in the 1920's and 1930's (37). 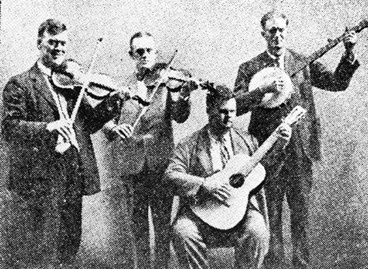 As the Opry, the most famous radio show, began a transition from string bands to singers in the 1930's, superstars were made. Uncle Dave Macon became the first of those Opry superstars. At any rate, by the mid 1940's, 600 radio programs were being broadcast to 40 million people! Rodney Crowell; need we continue? George D. Hay saying so long for now. "